Not all of the mobile devices could use AirPrint, but only the ones with the latest version of iOS: for iPod touch it’s the 3rd generation or later versions, for iPhone 3GS or later, for iPad—all models. To make use of AirPrint, first you should connect the device to the same Wi-Fi network as the needed printer, which on default is set on all the home networks. The technology supports wireless connection in both Infrastructure and Ad hoc Modes. Then, make sure printer is switched on and networked. Send the document to printing. That’s all. Very simple and fast. It’s a pity that the AirPrint technology isn’t much spread, though many of the leading printer manufacturers produce AirPrint-enabled machines. 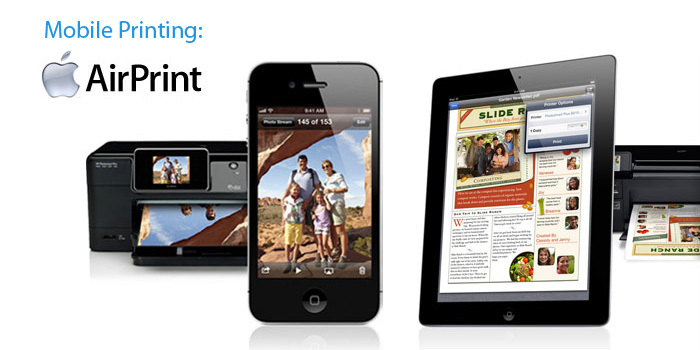 To make sure you printing device belongs to the models supporting AirPrint, check the list of them on the Apple site. This entry was posted on Thursday, April 10th, 2014 at 7:41 pm	and is filed under Apple, mobile, printing, technology. "5 Ways To Print Directly From Smartphone Or Tablet: Wi-Fi Direct"
"How the Chinese Printed 10 Houses In One Day"